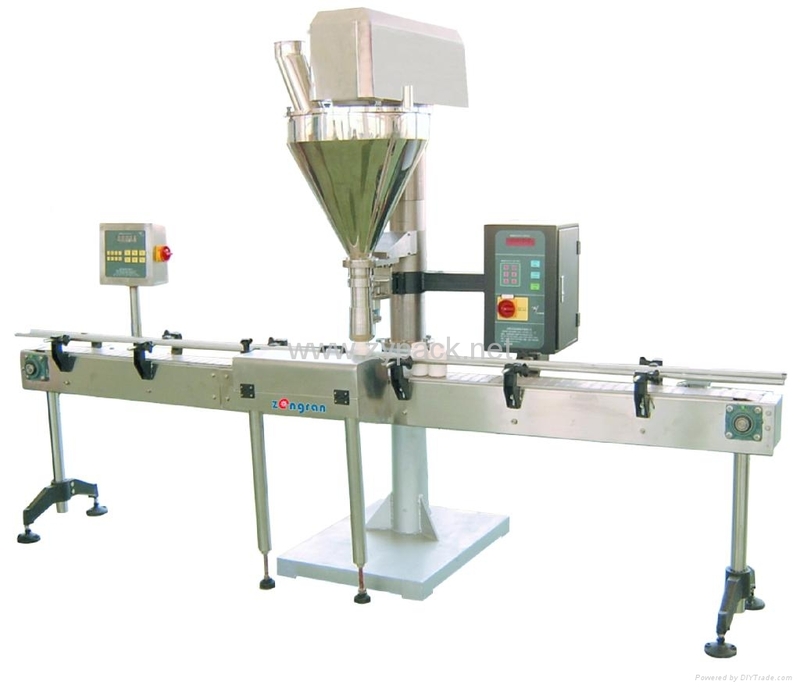 This machine is an automatic metering and bottling production line for powdery materials and has the functions of automatic metering and bottling. 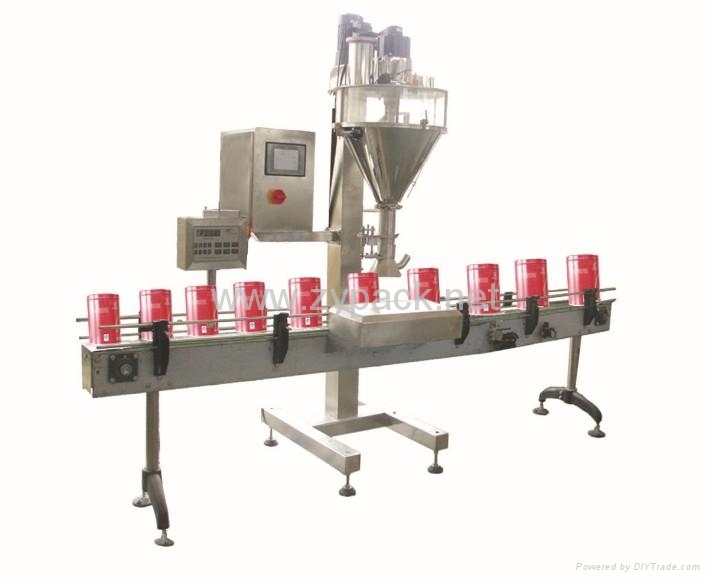 Upon user's request it can be equipped with the functions of weight checking, metal detection, sealing, screw capping, etc. All the sections in contact with the material are made of stainless steel, the whole machine is controlled by PLC and features high precision and quick speed.